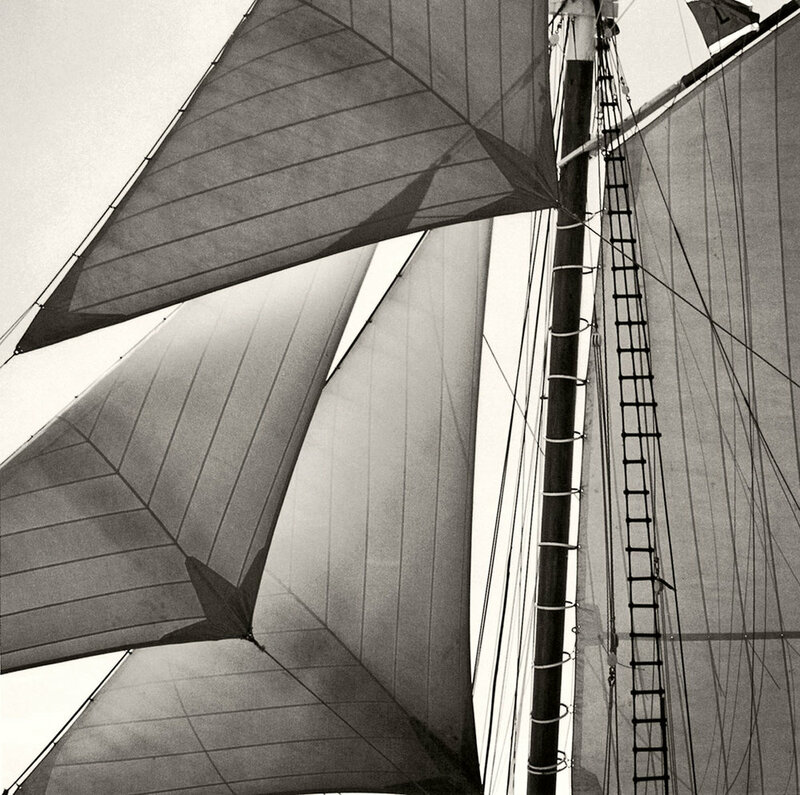 BELOW: Images from Michael Kahn’s vintage prints series ‘Vintage Sail Detail’. In the mid-90s American photographer Michael Kahn, whose black and white images of yachts and traditional boats have brought joy to many a sailor far and wide, made a significant decision that would shape the rest of his career. He decided to continue shooting on film using his 1950s designed Hasselblad camera instead of turning to the new digital equipment which, at the time, some said offered greater efficiency. Just a few years later Kahn also shot his first yacht-related photograph which set his move away from portraiture, commercial, advertising and landscape photography. "A small boat in the fog on a lake in the Adirondacks [mountains]” sparked fresh inspiration and from then Khan’s chosen subject would take on a more dominant nautical theme. 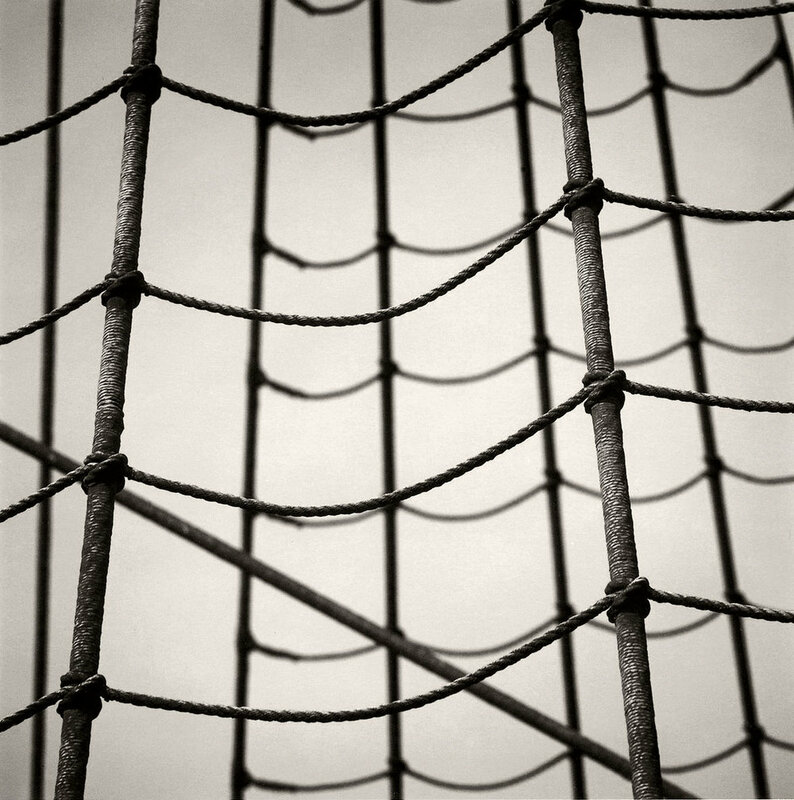 In 1998, Michael went on to create a set of photographs illustrating sail details, and fast forward 20 years, in October 2018, Michael Kahn has released this set of vintage prints called 'Vintage Sail Detail'. ‘Bow of Idem’, 1995. Michael Kahn’s first yacht related photographic study. 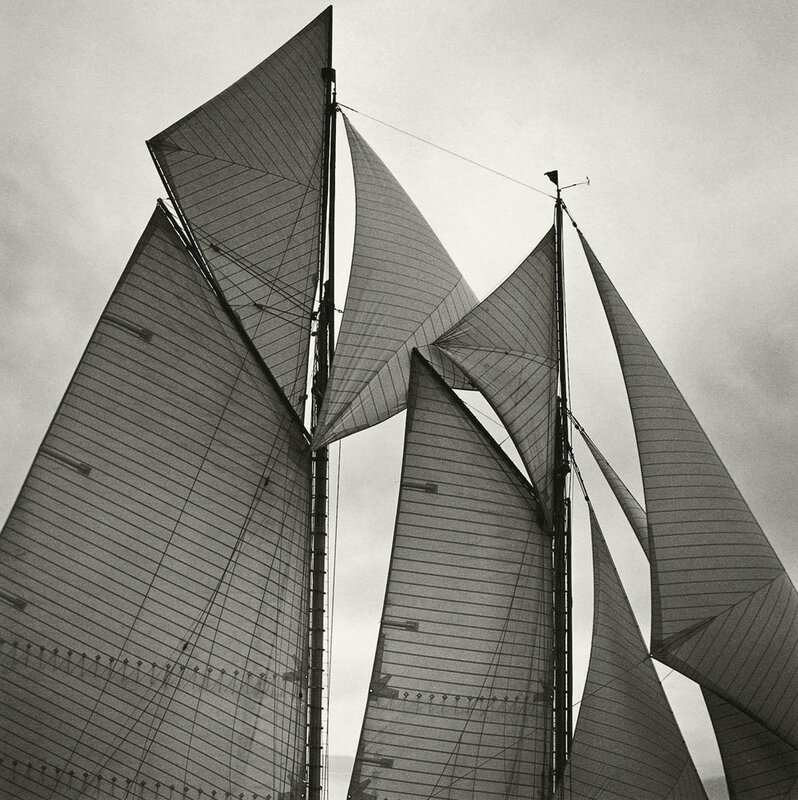 In the series, Michael Kahn recorded details of sails with his chosen tool – the Hasselblad camera loaded with black and white film – he focused on classic wooden boats in Maine and Antigua. Returning from these trips, Michael promptly hand printed photographs from these negatives. By intentionally printing the photographic prints within the year the negatives were taken, that has, enabled this ‘vintage' print collection to be released. 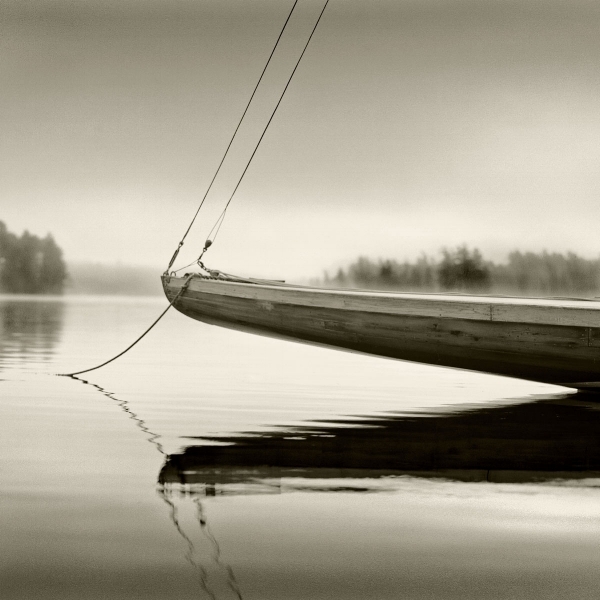 Today, the silver gelatin prints represent a moment in time, a depiction of Antigua and Maine's wooden boat history. They tell us information about the boats at that time; what condition they were in, what materials were used by traditional sail-makers, the details of the vessels' spars and masts. Although much has changed in the classic boat world since the 1990s, particularly regarding materials used and accepted in the scene, Kahn finds some elements of Antigua and Maine are utterly timeless, "the camaraderie is the same, the spirit of competition and the spirit of conservation of these antique vessels are the same. However, some of the technology has changed for example carbon masts and high tech sails." Born in 1960 Michael Kahn says his childhood holidays shaped his love for the sea. He holds fond memories of Topsail Island (see photo, Topsail Beach Wave by Michael Khan), North Carolina. "I swam, sailed, fished and collected shells and sharks teeth that had washed up on the sand. I hid in the dunes and marveled at the treasures in the water". He tells Classic Yacht TV, this is where he learnt how to sail, on a sunfish called LEMON DROP. In Maine, Kahn reminisces "my family summered on Goose Rocks Beach near Kennebunkport, Maine. I distinctly remember the large tidal fluctuations, granite rocks dripping with seaweed, lobster pots, swimming in the frigid waters and day tripping on historic schooners.". It was later on in his life, when after high school he took an apprenticeship up at Briar Studios in West Chester, Pennsylvania. Kahn's first employer used Hasselblad cameras; Swedish in design that takes medium format film. Those who've shot on film will likely agree that film cameras are the fastest way to learn photography. Rolls of film don't allow for an infinite number of shots to be taken – 12 shots on medium format 120 film; by measuring aperture and its combination with shutter speed, the process of 'taking' is slower and can be more precise. Kahn adds that "There is a great mystery of not knowing what is on the film until you get home.". Michael says he received hands-on training with his mentor in film and black and white printing, most likely a milestone further shaping his life as a photographer. But he says "Several years later [after the start of his apprenticeship], the owner of the studio changed the business model and became a commercial/advertising photographer.". He continued to work within the company, in the advertising sphere as their assistant but eventually branched off on his own shooting editorial and commercials and in 1990 published his first landscape photography book. Everything started to really change in 1995 when Michael took that first sailing photograph, 'Bow of the Idem' in 1995 (see image above). "I was invited to a lake in the Adirondack Mountains, New York. In the evening, the fog would settle on the lake. By the time I would take my hand-made wooden rowboat out on the water, the fog would be gently lifting. One day, in the mist of the coming morning, I came across a boat so unusual and beautiful in design that I felt compelled to photograph her. Hours later, the serenity of the morning shot was long forgotten, but the image was still there.". It was after this photographic experience that he started his journey taking nautical photographs – seascapes and sailing scenes. In the 20 years since Michael has grown his reputation within the sailing and seascape genres using his medium format film camera and traditional darkroom techniques. Info: Michael’s handmade photographs are each signed and created in limited editions.